It’s taken me several days to digest all that this novel offers. I can think of many words to describe this book: beautiful, compelling, detailed, descriptive, fascinating. But I have been trying to hone my thoughts to be able to create a more coherent review. There are just so many fantastic details, integral characters, intriguing plot twists. But I think what I hope to convey most for future readers is the journey that this novel can take you on (so I will try not to give too much away). First, I want to say that I loved this book. I found the writing to be sophisticated and compelling with a story that buries itself into the readers’ emotions and hearts. Second, I would describe this book as one that you cannot speed read. The details are too refined and too plentiful that I was constantly slowing down to enjoy them. 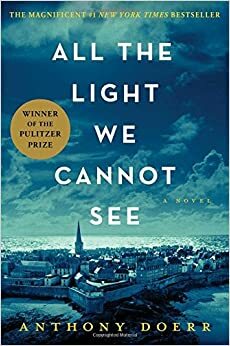 Winner of the 2015 Pulitzer Prize, All the Light We Cannot See by Anothy Doerr is a compelling novel set in Europe during WWII. It follows the stories of two children growing up on opposite sides of the conflict. Their stories develop and change leading to their ultimate intersection that changes both characters’ futures. Marie-Laure is only a child when she looses her sight. Her father creates a wooden model of their Paris neighborhood so she can navigate the streets around their home. He also works as the locksmith at the Museum of Natural History in Paris. 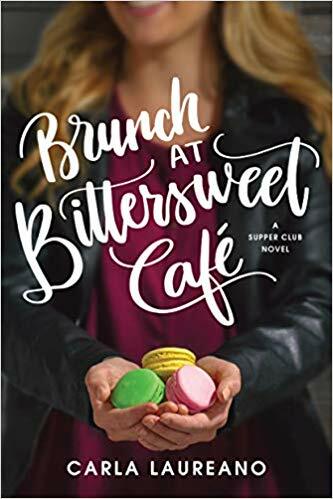 When the Nazis occupy Paris in 1940, Marie and her father flee to the home of her great uncle–Etienne–in Saint-Malo, a quaint seaside town west of Paris. They bring with them a jewel possibly more dangerous and more valuable than any in the world. Marie learns to navigate this small town during the German occupation of France. Through faith and perseverance, she learns to find joy in simple things, to see beyond the surface of what she cannot see, and to fight for what she truly believes in. Werner is an orphan growing up in a small mining community in Germany. He has a gift for understanding and fixing radio circuits which gives him an opportunity to escape the mines and enroll in a prestigious Hitler Youth Academy. While there, Werner becomes a stand out student and helps a professor engineer transmitter radios to be used in the war. Ultimately, he is drafted in the German army to use those transmitters to find rebel and enemy radio broadcasts throughout Europe. This assignment eventually takes him to Saint-Malo as well. Werner grapples with the complexities of his feelings about his country, his role in the war, and the role of radios throughout the novel. Radios play a central role in both Marie and Werner’s stories. They provide peace, work, and connection between people. Marie and her uncle Etienne bond over his hidden radio in the attic. Werner seeks illegal radio broadcasts and questions the way his transmitters are used to destroy hope and life. They listen to radios as children. They absorb the music they hear there. They see the effects of war on radios. Both Marie and Werner create unique perspectives from radios. Perspective is everything in this novel. Each chapter alternates from either Marie’s world or Werner’s. We are immersed in their lives. We meet the people they know, love, hate, and fear. We walk the streets to the baker’s with Marie or through snow covered hills with Werner. We feel the pain of lose, the fear of failure, the hope of a new day. 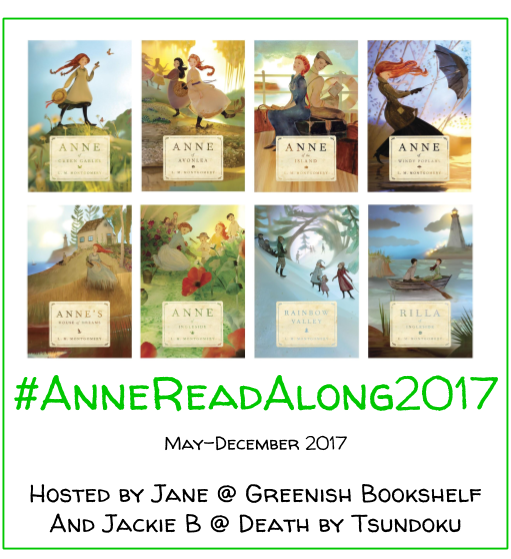 Rarely have I found a novel that allows readers to bond with the characters so closely. We grow up with Marie and Werner, and I found myself routing for both of them. One of my favorite details in this novel is the way the chapters are laid out. I admit, it took me a little time before I was oriented to the changing perspectives and changing times. I don’t want to give up any details, but I want to remark briefly about how lovely the chapters flow. We see both Marie and Werner grow up before the war and then experience their different outlooks on the war. Chapters change place and year almost constantly. It requires careful attention by the reader to the details of when and where each chapter occurs. This also allows Doerr to create masterful cliffhangers at the end of many chapters because the next rarely follows the same story as the previous. By the end of the novel, both Werner and Marie end up in Saint-Malo, and I continually hoped for the moment when they would meet. That hope led me through a beautiful climax to a compelling ending that left me contemplating the magnitude of life and light. Why then is this novel titled All the Light We Cannot see? There are the obvious possibilities. Marie is blind so she cannot fully see light. Werner is German and must only see the light or knowledge that the Nazis give him. But there are also more compelling possibilities that I find myself continually thinking about and hope to have time to explore in more detail in the future. Werner must decide to whom he is loyal and what is more important in his life–following orders or following the light. The perspective of this novel is different than most WWII novels I have encountered. It does not focus on the Holocaust but on the lives of the people who continued to live in the occupied towns of Europe. Perhaps this novel gives us more light or understanding of everyday life in WWII Europe. Marie can hear and smell and feel more than any person without blindness. So are we (the readers) actually the we in the title? What can Marie see that we cannot? These and other questions continue to dance around my mind after reading this novel. I highly recommend experiencing All the Light We Cannot See! Oh man. That second to last paragraph. Jane, you blow me away. Perhaps we are the blind ones. I also wonder if the light we cannot see is the goodness in other people. In general, people struggle to look beyond the surface and really understand those around them. There’s that one moment where all our protagonist’s lives intersect– each of them have motivations and inspirations and desires and dreams. If we don’t see those, then we have a clear good guy and bad guy… but is that really the case? So many things to consider! You made me want to re-read this. Thank you! It’s been a while since I went back to this review. It is one of my better ones, I think 🙂 I want to reread this book too after our discussion via comments! I can’t wait to reach that marker myself, honestly. The blog will turn 2 this December. Baby steps, right? Right. That is a big deal! Our blogs were born the same year then 😉 I hit two years in June!